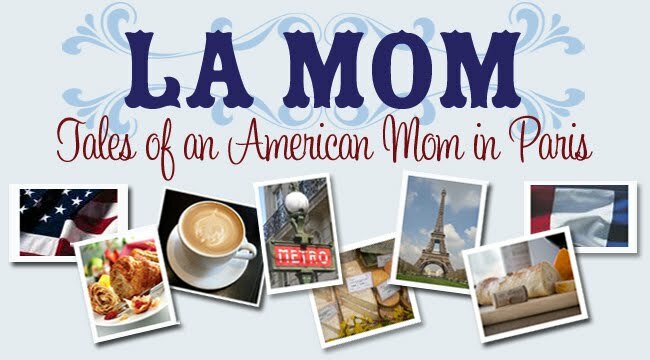 La Mom ventured outside the 75 zipcode that is Paris proper to visit L’Amie in the ‘burbs last week. Before I get too much flame mail about how I never leave my bubble, let me point out that Parisians hardly ever get out of their own neighborhoods, much less the city itself. 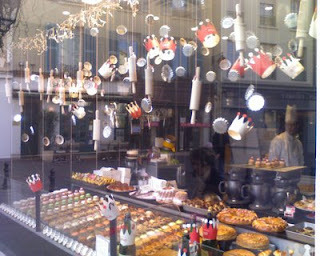 But Parisians don’t know what they’re missing – take this little bakery shop in St. Germain-en-Laye. 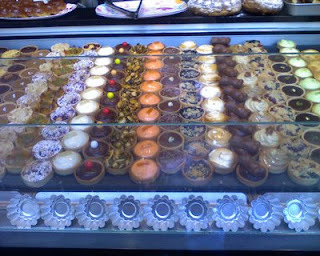 Petit Gâteau is specialized in – you guessed it – little cakes and miniature quiches. Good (French) things come in small packages! Yum! Little cakes mean little calories, right? So you can have several little cakes, right? How oh how do French women stay so slim? I could not resist. Yum!! I am so proud of you! :) Actually, getting out and exploring was one of my favorite things to do while living in Paris! I kick myself now because I should have done a lot more! Anywho... I LOVE St. Germain en Laye!!!! We used to have friends that lived out there. I wish I could jump through the screen and snap up all those yummy treats! Yumm! I think I'm heading over to Buttercup Bakeshop for a Velvet cupcake for lunch. What an inspiring post! Good for you for getting out of your "little bubble!" The result: now all of us know about another great Paris food shop. These little cakes look absolutely delicious! You didn't say whether or not you tried them - - did you? and were they good? Yummy delightful little cakes... I'm happy to see you venture out and show us more! I think I just drooled all over my keyboard. i have an awful sweet tooth. I'd have picked out the three yummiest and eaten them all by myself! !